Summary: Showin’ off our North Side stuff to Geekwire! Robert Miles and the Allegheny Inn hosted us and our guests in between two of the Inn’s seven fireplaces. While on the north side, we asked our friends from the National Aviary to join us and, Inn music staple, J. Roger Davis joined us with some of his mellow music. 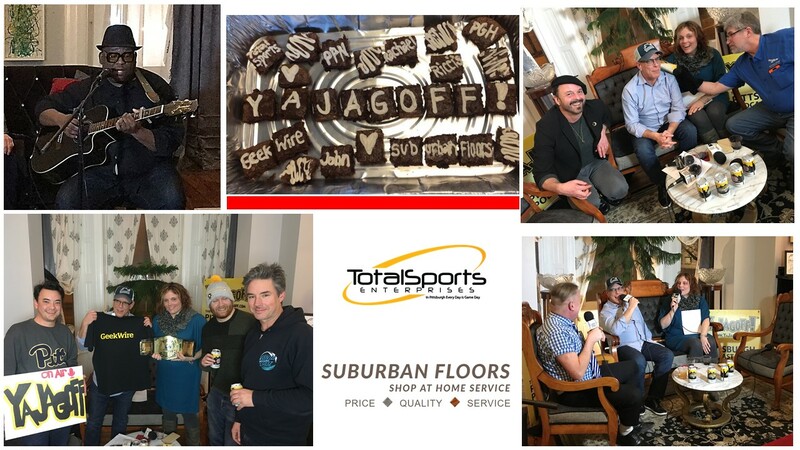 Thanks to our Fireplace Tour sponsor, Bob Hufnagle and Suburban Floors for the 6”x3” swath of red carpet for our guests! And thanks to Ricci’s Italian Sausage for feeding everyone! Listen to the this podcast by clicking the PLAY BUTTON below. If you don’t see the PLAY BUTTON above, in your email, CLICK HERE to listen to the podcast while you work, walk your dog or rest.